The Los Angeles Rams ground game worked to perfection against the Dallas Cowboys in their Divisional Round contest. But if needed, Rams kicker, and NFL Regional Combine pioneer, Greg Zuerlein was ready to kick away any imperfections. When the game started, it appeared that the Rams were going to be in another struggle against the Cowboys as they had to rely on Zuerlein early. 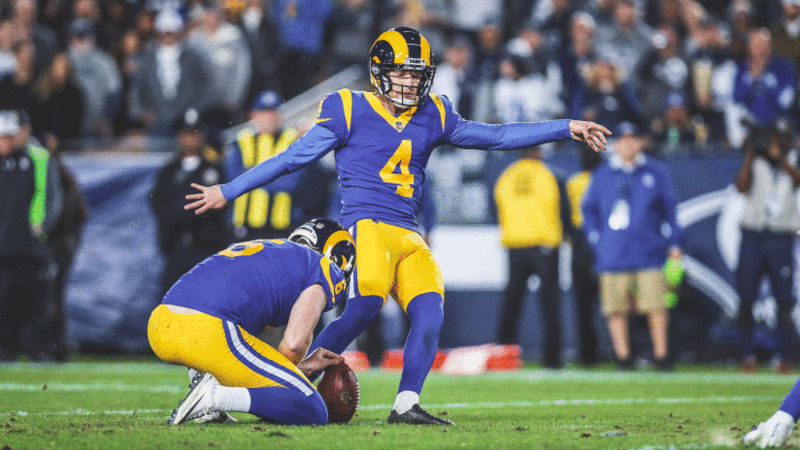 Zuerlein connected on two field goals, one for 25 yards and the other for 23 yards. The Rams took off with two touchdowns in the second quarter, and never looked back. For the sake of it, Zuerlein attempted a 63-yard field goal to end the half, but the ball went wide right. Still, Zuerlein kept the Cowboys at bay as he opened the third quarter with a 44-yard field goal with 10:08 remaining. The Pro Bowl kicker went three for four in field goals and nailed all three of his extra point attempts. -The Kansas City Chiefs advanced to the AFC Championship and will face the greatest of all-time, quarterback Tom Brady and the New England Patriots. Chiefs center Austin Reiter backed up Mitch Morse and occasionally experienced some action. If needed, Reiter will be ready. -The New Orleans Saints cornerback and special teams ace Chris Banjo is now one step closer in getting to the Super Bowl.